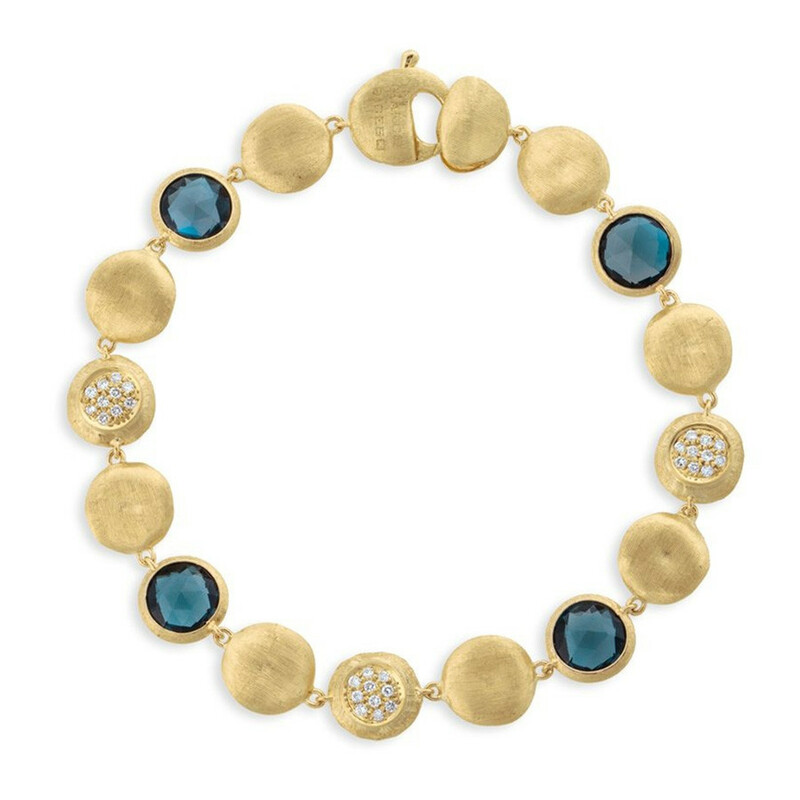 Become part of a golden circle with this bracelet from Marco Bicego's Jaipur Color collection! Hand-hammered, hand-engraved 18K yellow gold spheres bookend orbs of London blue topaz and pave diamonds in a golden frame in the wonderful wrist candy. The piece measures 7". This special Marco Bicego bracelet for that special someone will make her look exceptional and feel extraordinary.